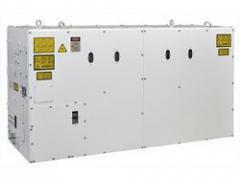 CO2 Laser Oscillator (Power 1kW~4kW) Feature Panasonic beam realizes "High quality cutting" with wide toleranceProduct with "High quality & High stability"Perfect support after installation Application Cutting, Joining, Modification etc. Станки лазерной резки: PANASONIC (Япония) от компании ООО Center of Welding Technologies Ташкенте (Узбекистан). Каталог товаров - Станки лазерной резки: PANASONIC (Япония). Продажа оптом и в розницу. Звоните!